Neutrinos are a puzzling mixture of three flavors and three masses. Scientists want to measure it down to the last drop. For a neutrino, travel is truly life-changing. When one of the tiny particles ends its 500-mile journey from Fermilab’s neutrino source to the NOvA experiment’s detector in Minnesota, it may arrive in an entirely different state than when it started. The particles, which zip through most matter without any interaction at all, can change from one of the three known neutrino varieties into another, a phenomenon known as oscillation. Due to quantum mechanics, a traveling neutrino is actually in several different states at once. This is a result of a property known as mixing, and though it sounds esoteric, it’s necessary for some of the most important reactions in the universe—and studying it may hold the key to one of the biggest puzzles in particle physics. Though mixing happens with several types of particles, physicists are focusing on lepton mixing, which occurs in one kind of lepton, the elusive neutrino. There are three known types, or flavors, of neutrinos—electron, muon and tau—and also three mass types, or mass states. But unlike objects in our everyday world, where an apple is always heavier than a grape, neutrino mass states and flavors do not have a one-to-one correspondence. “When we say there’s mixing between the masses and the flavors, what we mean is that the electron flavor is not only one mass of neutrino,” says Kevin McFarland, a physics professor at Rochester University and co-spokesperson for the MINERvA neutrino experiment at the Department of Energy’s Fermilab. 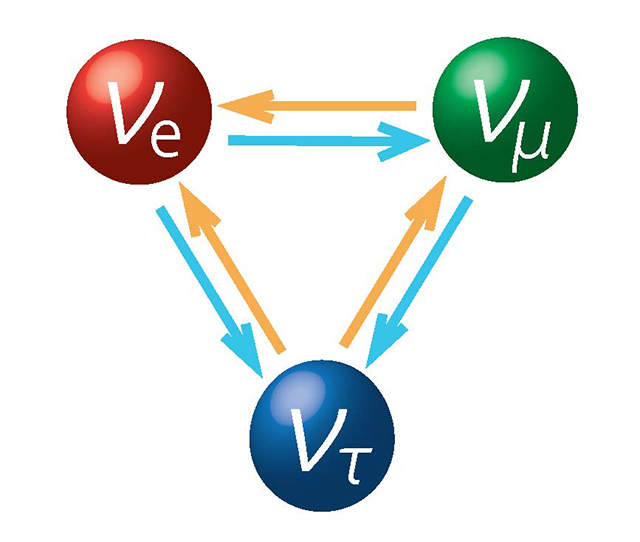 At any given point in time, a neutrino is some fraction of all three different mass states, adding up to 1. There is more overlap between some flavors and some mass states. When neutrinos are in a state of definite mass, scientists say they’re in their mass eigenstates. Physicists use the term mixing angle to describe this overlap. A small mixing angle means there is little overlap, while maximum mixing angle describes a situation where the parameters are as evenly mixed as possible. Mixing angles have constant values, and physicists don’t know why those particular values are found in nature. In order to find out, physicists need large experiments where they can control the creation of neutrinos and study their interactions in a detector. In 2011, the Daya Bay experiment in China began studying antineutrinos produced from nuclear power plants, which generate tens of megawatts of power in antineutrinos. That’s an astonishing number; for comparison, beams of neutrinos created at labs are in the kilowatt range. Just a year later, scientists working there nailed down one of the mixing angles, known as theta13 (pronounced theta one three). The discovery was a crucial one, confirming that all mixing angles are greater than zero. That property is necessary for physicists to begin using neutrino mixing as a probe for one of the greatest mysteries of the universe: why there is any matter at all. According to the Standard Model of cosmology, the Big Bang should have created equal amounts of matter and antimatter. Because the two annihilate each other upon contact, the fact that any matter exists at all shows that the balance somehow tipped in favor of matter. This violates a rule known as charge-parity symmetry, or CP symmetry. One way to study CP violation is to look for instances where a matter particle behaves differently than its antimatter counterpart. Physicists are looking for a specific value in a mixing parameter, known as a complex phase, in neutrino mixing, which would be evidence of CP violation in neutrinos. And the Daya Bay result paved the way. Information collected from Daya Bay, as well as ongoing neutrino experiments such as NOvA at Fermilab and T2K in Japan, will be used to help untangle the data from the upcoming international Deep Underground Neutrino Experiment (DUNE). This will be the largest accelerator-based neutrino experiment yet, sending the particles on an 800-mile odyssey into massive detectors filled with 70,000 total tons of liquid argon. The hope is that the experiment will yield precise data about the complex phase, revealing the mechanism that allowed matter to flourish. Neutrinos are not the only particles that exhibit mixing. Building blocks called quarks exhibit the property too. Physicists don’t yet know if mixing is an inherent property of all particles. But from what they know so far, it’s clear that mixing is fundamental to powering the universe. Buoyed by a $3 million federal grant, a Yale University-led experiment will explore key questions about the elusive particles called neutrinos — and potentially improve the way we monitor and safeguard nuclear reactors in the process. The detection instrument will be constructed at Yale’s newly renovated Wright Laboratory and later be deployed at the High Flux Isotope Reactor at Oak Ridge National Laboratory, in Tennessee. The PROSPECT experiment has been in development for more than three years. A great deal of scientific research is currently focused on neutrinos, which are subatomic particles that move through the universe with almost no mass and no electrical charge. Incredibly difficult to detect, neutrinos’ properties and behavior may hold answers to fundamental questions about the nature of matter in the universe. One such property is oscillation — neutrinos’ ability to change among three known types, or “flavors.” The discovery of this process, in 1998, was recognized with the 2015 Nobel Prize in physics and the 2016 Breakthrough Prize. Part of its significance comes from the glimpse it gives scientists into the possible existence of matter beyond the parameters of the Standard Model of Particle Physics. One way scientists are studying neutrino oscillation is by detecting neutrinos created within nuclear reactors, such as the Daya Bay Nuclear Power Plant in China. The Daya Bay experiment recently found that fewer antineutrinos were being emitted than physicists had predicted. PROSPECT, by moving closer to a reactor core, will try to find out why. PROSPECT also will search for “sterile” neutrinos. These are hypothesized particles — a fourth type of neutrino — that interact outside of the existing parameters of the Standard Model of Particle Physics. 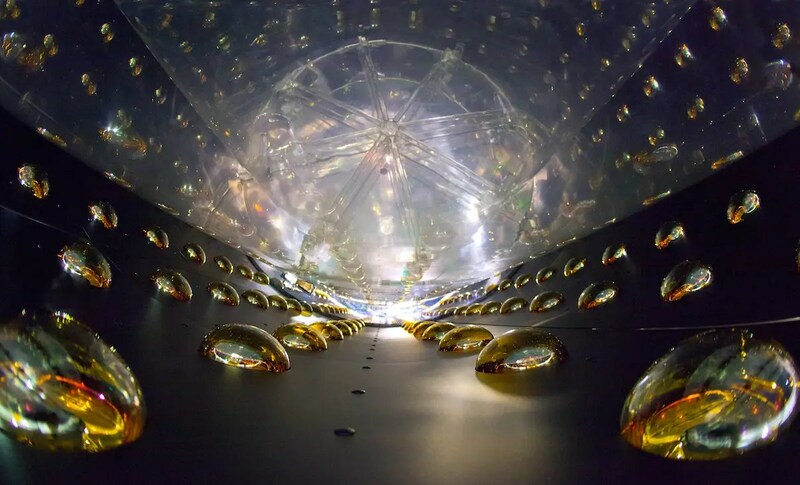 Sterile neutrinos would represent a new form of matter and could explain the observed deficit of reactor neutrinos in Daya Bay and other experiments. The High Flux Isotope Reactor at Oak Ridge National Laboratory is operated with funding from the U.S. Department of Energy’s Office of Science, Office of Basic Energy Sciences. Yale’s PROSPECT team includes Heeger; research scientists Henry Band, James Nikkel, and Tom Wise; postdoctoral researcher Tom Langford; graduate students Danielle Norcini and Jeremy Gaison; and technical staff members Jeff Ashenfelter and Frank Lopez. For more information about PROSPECT, visit its website. For more information about Wright Laboratory, visit its website. 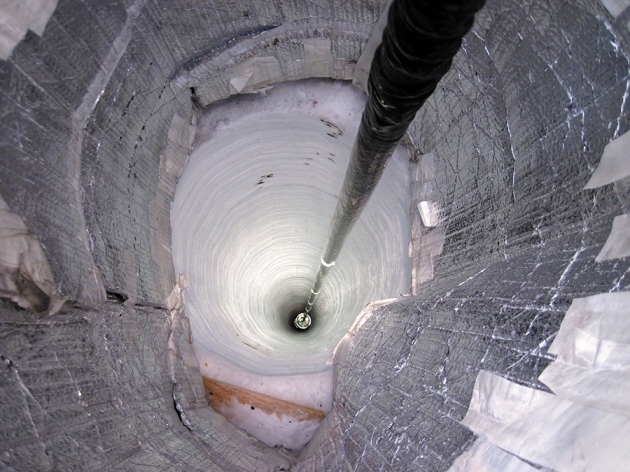 Meet the world’s deepest underground physics facilities. A constant shower of energetic subatomic particles rains down on Earth’s surface. Born from cosmic ray interactions in the upper atmosphere, this invisible drizzle creates noisy background radiation that obscures the signatures of new particles or forces that scientists seek. The solution is to move experiments under the best natural umbrella we have: the Earth’s crust. Underground facilities, while difficult to build and access, are ideal hubs for observing rare particle interactions. The rock overhead shields experiments from the pesky particle precipitation, preventing things like muons from interfering. For the last few decades, underground physics facilities have laid claim to some of the world’s largest, most complex detection experiments, contributing to important physics discoveries. Even with entire facilities sitting below the surface, extremely sensitive detectors often require additional shielding against stray particles and the small amount of radiation from the rock and equipment. One example is the Sanford Underground Research Facility’s Large Underground Xenon (LUX) experiment, which seeks dark matter particles called WIMPs, or weakly interacting massive particles. “Going underground eliminates most of the radioactivity, but not all of it, so we used a 72,000-gallon water shield to keep neutrons and gamma rays out of the LUX experiment,” says Harry Nelson, a LUX researcher and spokesperson for the upcoming LUX-Zeplin experiment at Sanford Lab. Scientists at underground facilities around the world—and their creative colleagues closer to the surface—maintain different experiments working toward a common goal: answering questions about the nature of matter and energy. Learn more about the facilities 1000 meters or more below the surface that are digging deep into the secrets of the universe. Previously known as the Kamioka Underground Observatory, the facility dwells in the Mozumi Mine in Hida, Gifu Prefecture, Japan. Operational or former mines actually make great homes for underground facilities because it is cost-effective to use existing giant holes inside mountains or the earth rather than dig new ones. Kamioka’s original focus was on understanding the stability of matter through a search for the spontaneous decay of protons using an experiment called Kamiokande. Since neutrinos are a major background to the search for proton decay, the study of neutrinos also became a major effort for the observatory. Now known as the Kamioka Observatory, the facility detects neutrinos coming from supernovae, the sun, our atmosphere and accelerators. In 2015, Takaaki Kajita was awarded the Nobel Prize in physics for the discovery of atmospheric neutrino oscillation by the Super-Kamiokande experiment. The Nobel Prize is shared with the Sudbury Neutrino Observatory in Canada. SUPL is under construction at the active Stawell Gold Mine in Victoria, Australia. The facility will work in close collaboration with the Gran Sasso National Laboratory in Italy, which made significant strides in dark matter research through a possible detection of WIMPs. SUPL will see whether the amount of dark matter in certain galaxies changes depending on Earth’s position. Because Australia is in the Southern Hemisphere and has opposite seasons to Italy, this seasonal dark matter experiment will also test Italy’s results to learn more about WIMPs and dark matter. There are two proposed dark matter experiments for SUPL: SABRE (Sodium-iodide with Active Background REjection) and DRIFT-CYGNUS (Directional Recoil Identification From Tracks – CosmoloGY with NUclear recoilS). Inside the operational Boulby Potash and Salt Mine on the northeast coast of England sits the Boulby Lab. It is a multidisciplinary, deep underground science facility operated by the UK’s Science and Technology Facilities Council. The depth and the support infrastructure make the facility well-suited for traditional low-background underground studies such as dark matter searches and cosmic ray experiments. Scientists also study a wide range of sciences beyond physics, for example geology and geophysics, environmental and climate studies, life in extreme environments on Earth, and the development of rover instrumentation for exploration of life beyond Earth. The dark matter search currently underway at Boulby is DRIFT-II – a directional dark matter search detector. The lab previously hosted the ZEPLIN-II and III experiments, predecessors to the upcoming LUX-ZEPLIN experiment at Sanford Lab. Boulby still supports the LZ experiment with ultralow-background material activity measurements, which is important to all sensitive dark matter and rare-event studies. INO, a collaboration of about 25 national institutes and universities hosted by the Tata Institute of Fundamental Research, will primarily be an underground facility for non-accelerator-based high-energy physics. The observatory will focus its study on atmospheric muon neutrinos using a 50-kiloton iron calorimeter to measure certain characteristics of the elusive particles. INO will also expand into a more general science facility and host studies in geological, biological and hydrological research. Construction of the INO underground observatory in Pottipuram, Tamil Nadu, India is awaiting approvals by the state government. The Gran Sasso National Laboratory in Italy is the largest underground laboratory in the world. It is a high-energy physics lab that conducts many long-term neutrino, dark matter and nuclear astrophysical experiments. The lab’s OPERA experiment is especially noteworthy for detecting the first tau neutrino candidates that emerged (through oscillation) from a muon neutrino beam sent by CERN in 2010. 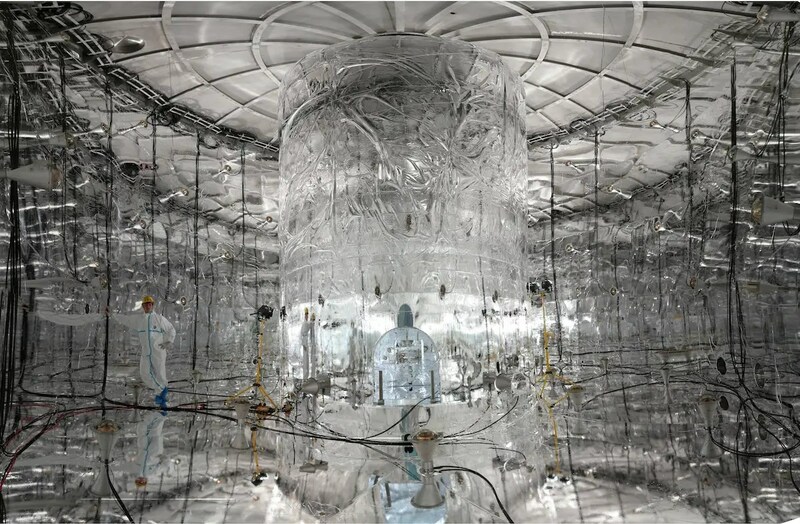 From 2012 to 2015, the experiment at Gran Sasso subsequently announced the detection of the second, third, fourth and fifth tau neutrinos, confirming their initial result. Gran Sasso also collaborates with the Department of Energy’s Fermi National Accelerator Laboratory on a short-distance neutrino program. After it is refurbished at CERN, the ICARUS experiment from Gran Sasso will join two other experiments at Fermilab to search for a fourth proposed kind of neutrino, the sterile neutrino. The University of Oulu in Finland operates CUPP in Europe’s deepest metal mine—the Pyhäsalmi Mine. As the mine prepares to close by the end of this decade, the local community established Callio Lab (CLab) to rent out space to science and industrial operators, CUPP being one of them. The main level, at 1420 meters, houses all of the equipment, offices and restaurants. It also houses the world’s deepest sauna. The facility’s main experiment is EMMA, the Experiment with MultiMuon Array, in Lab 1 at 75 meters. EMMA is used to study cosmic rays and high-energy muons that pass through the Earth to better understand atmospheric and cosmic particle interactions. CUPP also conducts some low-background muon flux measurements and radiocarbon research for future liquid scintillators in Lab 2 at 1430 meters. 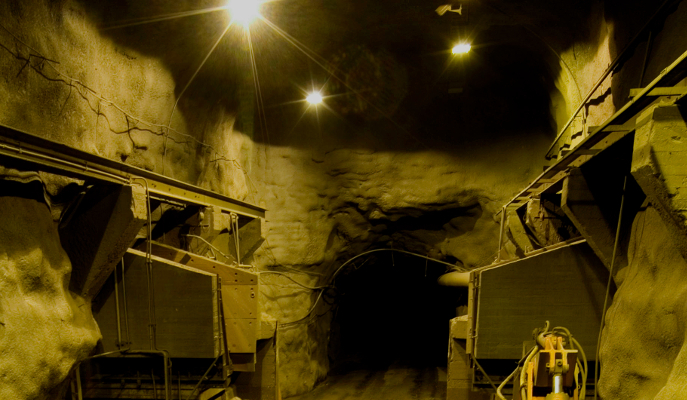 Sanford Lab is the deepest underground physics lab in the United States and sits in the former Homestake Gold Mine in the Black Hills of South Dakota. It was the site of Ray Davis’ solar neutrino experiment, which used dry cleaning fluid to count neutrinos from the sun. The experiment found only one-third of the neutrinos expected, the result known as the solar neutrino problem. In 1998, SNO and Kamioka discovered neutrino oscillations, which proved that neutrinos were changing type as they traveled. Davis won the Nobel Prize in physics in 2002. The facility now houses the LUX experiment (looking for dark matter), Majorana Demonstrator (researching the properties of neutrinos), and geological, engineering and biological studies. Sanford Lab will also host the Deep Underground Neutrino Experiment, which will use detectors filled with 70,000 tons of liquid argon to study neutrinos sent from Fermilab, 800 miles away. Located in Modane, France, and situated in the middle of the Frejús Road Tunnel, the multidisciplinary lab hosts experiments in particle, nuclear and astroparticle physics, environmental sciences, biology and nano- and microelectronics. Headed by the French National Center for Scientific Research and the Genoble-Alpes University, Modane Lab’s main fundamental physics activities include SuperNEMO and EDELWEISS, which study neutrino physics and dark matter detection, respectively. The lab also hosts international experiments with the Joint Institute for Nuclear Research in Dubna, Russia, and the Czech Technical University in Prague, Czech Republic. Hidden beneath the Caucasus Mountains and next to the Baksan River, BNO began working as one of the first underground particle physics observatories in the then Soviet Union. Like other underground facilities, BNO wanted to reduce the amount of background radiation as much as possible. The lab’s location is not only underground but also far from nuclear power plants—another source of background noise for experiments. BNO’s current neutrino experiments are the Soviet-American Gallium Experiment (SAGE), the Baksan Underground Scintillation Telescope (BUST) and the upcoming Baksan Experiment on Sterile Transitions (BEST). There is also a new search for hypothesized particles called axions, candidates for dark matter. Situated in the mountains on the border of Chile and Argentina, ANDES will study neutrinos and dark matter, as well as plate tectonics, biology, nuclear astrophysics and the environment. 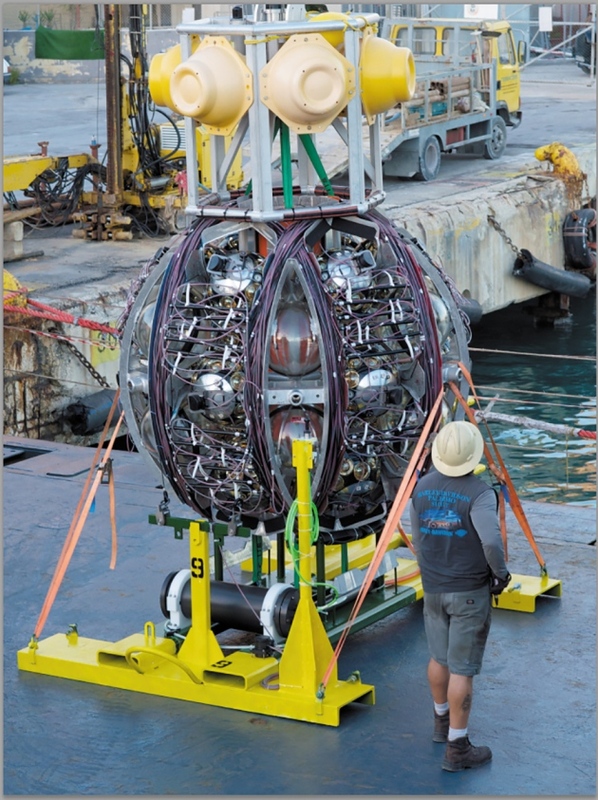 Along with SUPL, it is one of two proposed deep underground labs in the Southern Hemisphere. 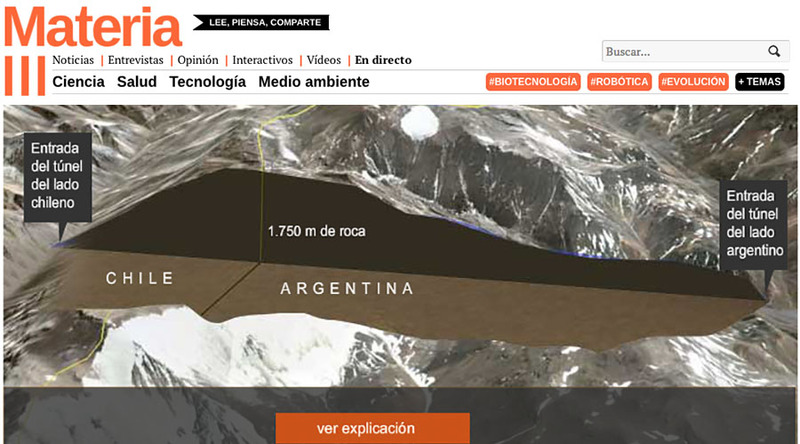 ANDES is an international laboratory, not just a host for international experiments. It will become home to a large neutrino detector and aims to detect supernovae neutrinos and geoneutrinos, complementing results of the Northern Hemisphere labs and experiments. This location is ideal as the site is far from nuclear facilities and extremely deep in the mountains, both of which help reduce background noise. SNOLAB is the deepest physics facility in North America and operates in a working nickel mine in Ontario, Canada. The entire 5000m2 facility is a class 2000 cleanroom with fewer than 2000 particles per cubic foot. Everyone who enters the lab must shower on the way in and put on a clean set of special cleanroom clothes. SNOLAB conducts highly sensitive experiments for research on dark matter and neutrinos. Among them are DEAP-3600, PICO, HALO, MiniCLEAN and SNO+. Scientists also plan to install the next generation of a cryogenic dark matter search, SuperCDMS, in the lab once testing is complete. Late last year, Arthur McDonald was awarded the Nobel Prize in physics for the discovery of neutrino oscillation made in 1998 at the Sudbury Neutrino Observatory, the predecessor of SNOLAB. 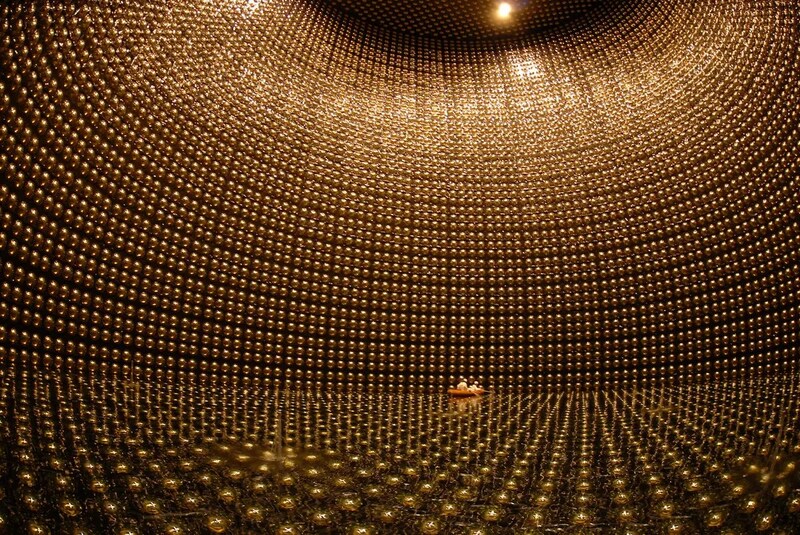 The Nobel Prize is shared with the Kamioka Observatory in Japan for their Super-K neutrino experiment. CJPL is the deepest physics facility in the world, tucked inside the Jinping Mountain in the Sichuan province in southwest China. The site is ideal for its low cosmic-ray muon flux, which means the facility has far less noise from background radiation than many other underground facilities. And because the facility is built under a mountain, there is horizontal access (for things like vehicles) rather than vertical access (through a mine shaft). Two experiments housed at the facility are trying to directly detect dark matter: the China Dark Matter Experiment (CDEX) and PandaX. CJPL will also observe neutrinos from different sources, such as the sun, Earth, atmosphere, supernova bursts and potentially dark matter annihilations, in hopes of better understanding the elusive particles’ properties. In the coming months, an astronuclear physics study and a one-ton prototype of a neutrino detector will move into CJPL-II. Spencer Klein calls for bigger telescope arrays to catch particles from the most energetic places in the Universe. Neutrino astronomy is poised for breakthroughs. Since 2010, the IceCube experiment in Antarctica — 5,160 basketball-sized optical sensors spread through a cubic kilometre of ice — has detected a few score energetic neutrinos from deep space. Although these are exciting finds that raise many questions, this paltry number of extraterrestrial particles is too few to tell their origins or to test fundamental physics. 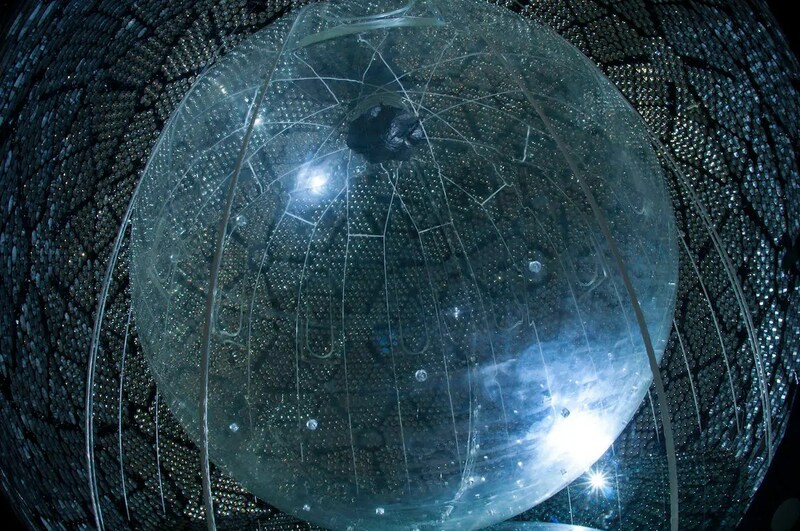 To learn more will require a new generation of neutrino observatories. Neutrinos are subatomic particles that interact only weakly, so they can travel far through space and even penetrate Earth. IceCube detects highly energetic neutrinos, with energies above about 100 gigaelectronvolts (1 GeV is 109 electronvolts, roughly the rest mass of a proton). These are produced when cosmic rays — high-energy protons or heavier nuclei from space — interact with matter or light. This might happen either at the sites where the cosmic rays are produced, or later when the rays enter Earth’s atmosphere and collide with gas molecules, releasing a cascade of elementary particles. Neutrinos produced in the atmosphere are hundreds of times more numerous than the astrophysical ones. Many physics puzzles stand to be solved by neutrino astronomy1. One is the origin of the ultra-high-energy cosmic rays. In 1962, the Volcano Ranch array in New Mexico detected an enormous shower of particles coming from one cosmic ray smashing into the upper atmosphere with a kinetic energy of above 1011 GeV — equivalent to the energy of a tennis serve packed into a single atomic nucleus. Tens more such events have been detected since. But 50 years on, physicists still have no idea how nature accelerates elementary particles to such high energies. The energies far exceed the range of Earth-bound accelerators such as the Large Hadron Collider (LHC) near Geneva, Switzerland; mimicking them would require a ring the size of Earth’s orbit around the Sun. There is also much we need to find out about neutrinos themselves — their accurate masses, how they transform from one type (flavour) into another, and whether other predicted forms (such as ‘sterile’ neutrinos) exist. Neutrinos could also help to find dark matter, invisible material that has a part in controlling the motions of stars, gas and galaxies. Decaying or annihilating dark matter could produce energetic neutrinos that would be visible to neutrino telescopes. The downside of neutrinos’ weak interactions is that an enormous detector is required to catch enough particles to distinguish the few space-borne ones from the many more originating from Earth’s atmosphere. IceCube is the largest neutrino-detection array in operation but it is too small, and further data collection is probably too slow to yield major breakthroughs in the next decade. Designs for neutrino telescopes are on the drawing board and could be up and running in five to ten years — if the astro-, particle- and nuclear-physics communities can come together and coordinate funding. A complementary set of several neutrino observatories would test physics at energies beyond the LHC’s at a fraction of the cost — tens to hundreds of millions, rather than tens of billions, of dollars. IceCube, which became fully operational in Antarctica in 2010 (and with which I have been involved since 2004), detects blue light: Cherenkov radiation that is emitted by the charged particles produced when energetic neutrinos interact with atomic nuclei in water or ice. Computers comb through the data to look for interactions — long tracks or radial cascades of particles emanating from a point (see ‘Neutrino observatory‘). IceCube sees more than 50,000 neutrino candidates per year. Fewer than 1% are from space. Since 2010, IceCube has seen about 60 astrophysical neutrino candidates2, 3. Other experiments are too small to detect any such neutrinos; these include ANTARES, an array of strands of detectors anchored to the floor of the Mediterranean Sea off Marseilles, France, and another similar array in Lake Baikal, Russia. Their detection rate of astrophysical neutrinos is as high as could be expected — if there were more neutrinos, they would drain the cosmic rays of most of their energy4. So finding the astrophysical sources of the neutrinos should be easy. The fact that we have not is a growing puzzle. Setup view of Antares neutrino detector. 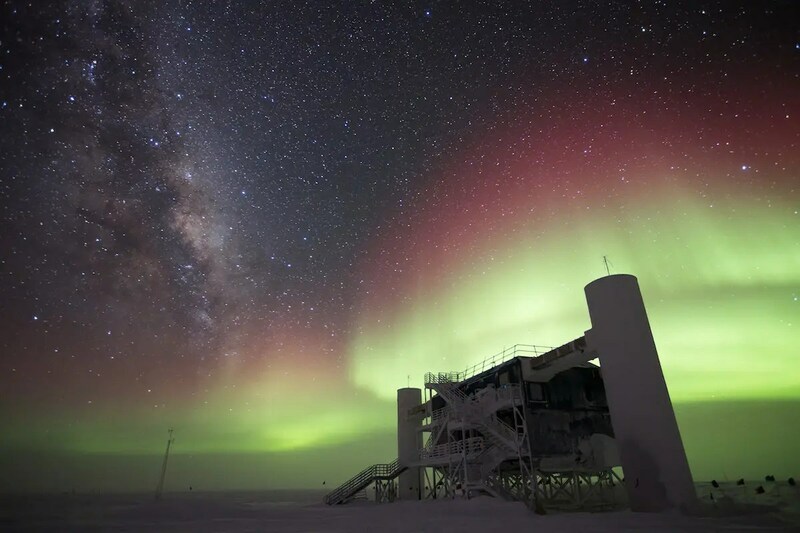 So far, neutrinos do not seem to be coming from particular sites on the sky5, although several groups have suggested a weak link to the plane of the Milky Way. And analyses disfavour the many sites once thought likely to have accelerated energetic cosmic rays and neutrinos, including γ-ray bursts (GRBs) and active galactic nuclei (AGNs). 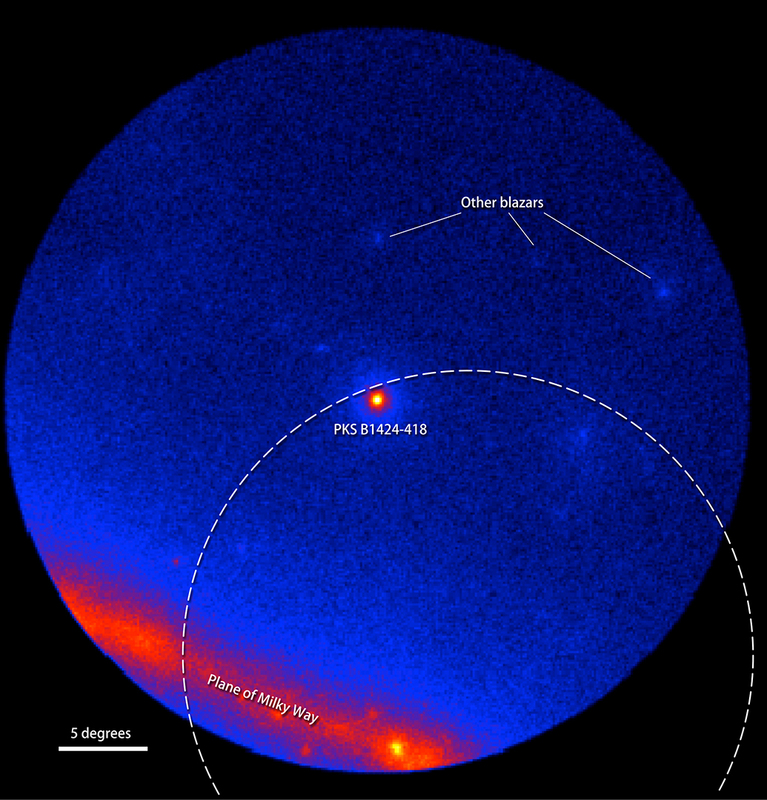 GRBs are short bursts of powerful γ-rays that are picked up by satellites. They are thought to emanate either from a black hole coalescing with a neutron star or another black hole (producing a rapid burst lasting less than 2 seconds); or from the slower collapse of supermassive stars (bursts lasting seconds or minutes). Particles are accelerated by the implosion or explosion. Of more than 800 GRBs examined by IceCube scientists, none was accompanied by a burst of neutrinos, implying that GRBs can produce at most 1% of the astrophysical neutrinos seen by IceCube6. AGNs are galaxies that at their centres have supermassive black holes accreting gas. Particles may be accelerated to relativistic speeds in jets of material that are blasted out from the black hole. But IceCube sees no associations between energetic neutrinos and active galaxies with jets that point towards Earth, suggesting that active galaxies explain at most 30% of the neutrinos7. Other unlikely sources include starburst galaxies, which contain dusty regions of intense star formation that are riddled by supernova explosions8; magnetars, which are neutron stars surrounded by strong magnetic fields that expel powerful bursts of neutrinos for a few days (these should have been seen by IceCube); and supernova remnants, whose magnetic fields are too weak to explain the most energetic neutrinos9, even though they are believed to be responsible for most lower-energy (up to about 1016 eV) cosmic rays seen in the Galaxy. More exotic possibilities remain untested: as-yet-unseen supermassive dark-matter particles that annihilate and produce energetic neutrinos; or the decay of cosmic ‘strings’, discontinuities in space-time left over from the Big Bang. IceCube has also tested alternative physics theories. It has constrained how neutrinos ‘oscillate’ from one flavour to another and set limits on the properties of dark matter and on the constituents of high-energy air showers. First, larger optical Cherenkov telescopes could be deployed in ice or a lake, sea or ocean — similar to IceCube or ANTARES but with more efficient optical sensors and cheaper technology. Several groups have developed advanced designs for these concepts but lack funding. The detectors could be constructed and operational by the early 2020s. For IceCube, technical improvements would include more efficient drilling technology and sensors that fit in narrower bore holes, which are cheaper to drill. The second approach requires catching neutrinos with energies above 108 GeV. Neutrinos this energetic are rare — IceCube has seen none — and an array of at least 100 km3 would be needed to capture enough events. Because optical Cherenkov light travels only tens of metres in ice or water, covering such a volume would require millions of sensors and would be expensive. First, one or both of the successors to IceCube and ANTARES should be funded and built. An upgraded IceCube experiment (IceCub-Gen2) and the Cubic Kilometre Neutrino Telescope (KM3NeT), a proposed European project, are both strong candidates (see ‘Next-generation neutrino telescopes’). If necessary, the teams coordinating IceCube, KM3NeT and the Gigaton Volume Detector10, a proposed Russian array, should explore merging these collaborations to focus on a single large detector at the most cost-effective site. Funding should be sought from a wider range of agencies, including those focused on particle and nuclear physics. By finding the astrophysical sources of ultra-energetic neutrinos and cosmic rays — or ruling out remaining models — the next generation of neutrino observatories is guaranteed to make discoveries. Spencer Klein is a senior scientist in the Nuclear Science Division, Lawrence Berkeley National Laboratory, and a research physicist at the University of California, Berkeley, Berkeley, California, USA. However, knowing this and understanding all the physics involved are two different things. We can’t make a true supernova in the lab or study one up close, even if we wanted to. For that reason, computer simulations are the best tool scientists have. Researchers program equations that govern the behavior of the ingredients inside the core of a star to see how they behave and whether the outcomes reproduce behavior we see in real supernovae. There are many ingredients, which makes the simulations extraordinarily complicated—but one type of particle could ultimately drive supernova explosion: the humble neutrino. Neutrinos are well known for being hard to detect because they barely interact with other particles. However, the core of a dying star is a remarkably dense environment, and the nuclear reactions produce vast numbers of neutrinos. Both these things increase the likelihood of neutrinos hitting other particles and transferring energy. Core-collapse supernovae are rare and extremely violent phenomena, sometimes outshining whole galaxies at their peak. The last relatively close-by supernova appeared in the sky in 1987, in the neighboring galaxy known as the Large Magellanic Cloud. Even if a supernova exploded close enough to observe in detail (while being far enough to be safe), we can’t see deep inside to where the action is. However, 24 neutrinos from the 1987 supernova showed up in particle detectors (built for studying proton decay) [I have seen this before, but no one ever says how they know this to be factual]. These neutrinos were likely born in nuclear reactions deep in the exploding star’s interior and confirmed theoretical predictions from the 1960s, when astrophysicists first began to study exploding stars. 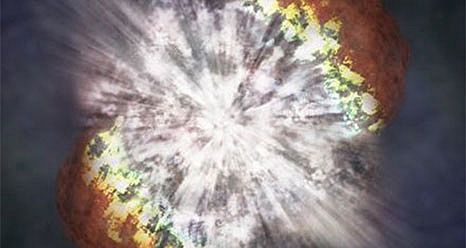 Supernova research really took off in the 1980s with growing computer power and the realization that a full understanding of core collapse would need to incorporate a lot of complicated physics. In other words, if you don’t do the simulations right, the supernova never happens. While some stars may collapse directly into black holes instead of exploding, astronomers see both supernova explosions and their aftermaths (the most famous example being the Crab Nebula). Some simulations don’t ever show a kaboom, which is a problem: The energy released during the burst of neutrinos is enough to stall out the supernova before it explodes. If neutrinos cause the problem, they may also solve it. They carry energy away from one part of the dying star, but they may also transfer it to the stalled-out shockwave, breaking the stalemate and making the supernova happen. It’s not the only hypothesis, but currently it’s the best guess astrophysicists have, and most of the large computer simulations seem to support it so far. However, some of the most energetic supernovae—known as hypernovae—don’t seem to abide by the same rules, so it’s possible something other than neutrinos are responsible. What that something else might be is anyone’s guess. Core-collapse supernovae are natural laboratories for extreme physics. They involve particle physics, strong gravity as described by general relativity and nuclear physics, all mixed up with strong magnetic fields. All of those aspects must be implemented in computer code, which necessarily involves tough decisions about what details to include and what to leave out. “The major open questions revolve around understanding which physical effects are crucial to a quantitative understanding of supernova explosions,” Dolence says. His own work at Los Alamos involves testing the assumptions going into the various theoretical models for explosions and developing faster code to save on precious computer time. Janka’s work in Europe, by contrast, involves modeling the neutrino behavior as exactly as possible. Currently, both detailed and simplified approaches are needed, until researchers know exactly what physical processes are involved deep inside the dying star. Both methods use tens of millions of hours of computer time, distributed across multiple computers working in parallel. Even with certain simplifying assumptions, these simulations are some of the biggest around, meaning they require supercomputers at large research centers: the Leibniz Computing Center in Germany; the Barcelona Supercomputing Center in Spain; Los Alamos, Oak Ridge National Laboratory and Princeton University in the United States, and just a handful of others. The world’s current neutrino experiments are poised to catch neutrinos from the next event and are connected by the Supernova Early Warning System. But in the absence of a nearby supernova, massive supercomputer simulations are all we have. In the meantime, those simulations could still teach us about the extreme physics of dying stars and what role neutrinos play in their deaths. Nearly 10 billion years ago, the black hole at the center of a galaxy known as PKS B1424-418 produced a powerful outburst. Light from this blast began arriving at Earth in 2012. Now astronomers using data from NASA’s Fermi Gamma-ray Space Telescope and other space- and ground-based observatories have shown that a record-breaking neutrino seen around the same time likely was born in the same event. The IceCube Neutrino Observatory, built into a cubic kilometer of clear glacial ice at the South Pole, detects neutrinos when they interact with atoms in the ice. This triggers a cascade of fast-moving charged particles that emit a faint glow, called Cerenkov light, as they travel, which is picked up by thousands of optical sensors strung throughout IceCube. Scientists determine the energy of an incoming neutrino by the amount of light its particle cascade emits. To date, the IceCube science team has detected about a hundred very high-energy neutrinos and nicknamed some of the most extreme events after characters on the children’s TV series “Sesame Street.” On Dec. 4, 2012, IceCube detected an event known as Big Bird, a neutrino with an energy exceeding 2 quadrillion electron volts (PeV). To put that in perspective, it’s more than a million million times greater than the energy of a dental X-ray packed into a single particle thought to possess less than a millionth the mass of an electron. Big Bird was the highest-energy neutrino ever detected at the time and still ranks second. Enter Fermi. Starting in the summer of 2012, the satellite’s Large Area Telescope (LAT) witnessed a dramatic brightening of PKS B1424-418, an active galaxy classified as a gamma-ray blazar. An active galaxy is an otherwise typical galaxy with a compact and unusually bright core. The excess luminosity of the central region is produced by matter falling toward a supermassive black hole weighing millions of times the mass of our sun. As it approaches the black hole, some of the material becomes channeled into particle jets moving outward in opposite directions at nearly the speed of light. In blazars, one of these jets happens to point almost directly toward Earth. In a paper* published Monday, April 18, in Nature Physics, the team suggests the PKS B1424-418 outburst and Big Bird are linked, calculating only a 5-percent probability the two events occurred by chance alone. Using data from Fermi, NASA’s Swift and WISE satellites, the LBA and other facilities, the researchers determined how the energy of the eruption was distributed across the electromagnetic spectrum and showed that it was sufficiently powerful to produce a neutrino at PeV energies.